This morning a game of unicorn, unicorn - zebra was initiated. 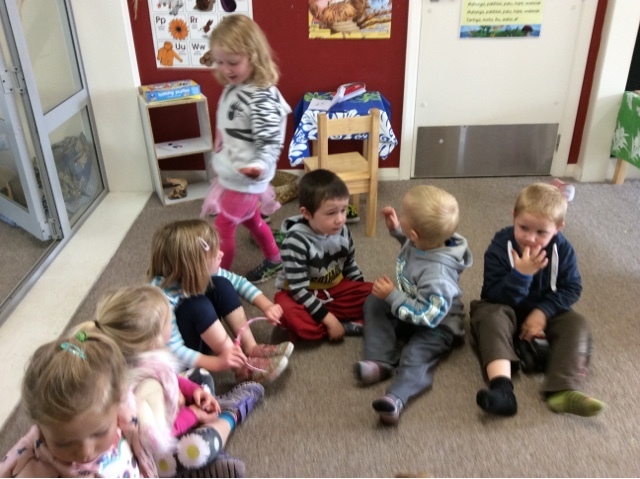 A twist on an all time favourtie game, duck, duck - goose. Āe mārika - How about that! So the children made a small circle and Ginny took the lead by saying that she was going to start. So she walked around the circle tapping a child while saying unicorn, and tapping another while saying unicorn again. She continued around the circle doing this until she changed the word - "zebra" she called out before running off around the circle while some of the children laughed. She had called zebra when touching Pippa so she too jumped up and began chasing Ginny around the circle. 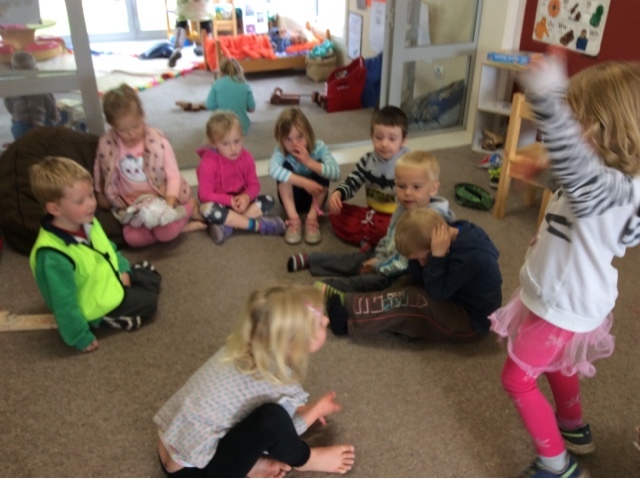 The children laughed togther as they used the language or unicorn and zebra in their game, a very creative twist to a game we know well. This is just one example of how the children are enjoying playing with lagnauge in their play, being creative with how they form words but also using different words to describe their play or just like today, finding humour with words! 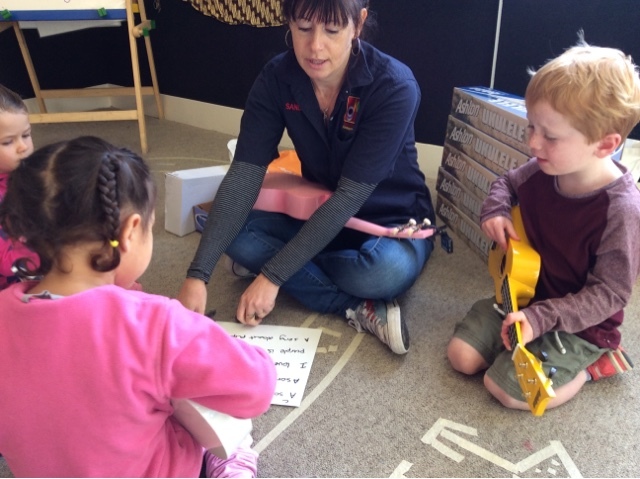 This morning at Kotahitanga (our morning group time) the teaching team introduced to the children our new ukeleles. 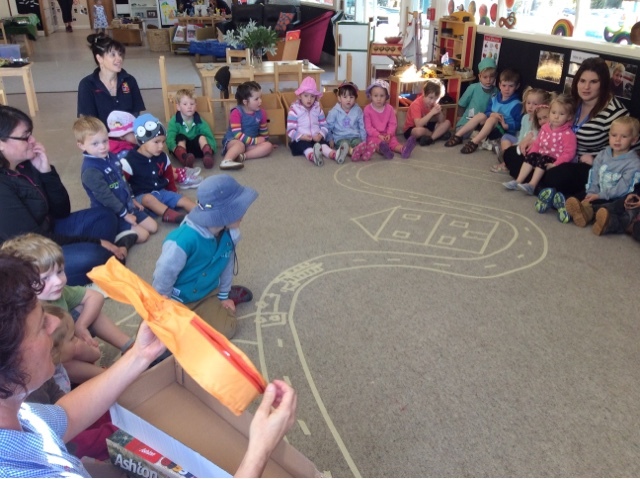 Wintrow shared that we will be "keeping it safe". "When you finished using it put it bac" Elliot shared. "Put it up there or in the cover" Alice added pointing to our ukelele stand. "If someone used a hammer it might break" James shared with us very thoughtfully. "Yeah you would say kiato (stop)" Elliot added to support James' idea. Just some of the children's ideas are shared above. He aha o whakaro? What do you think? 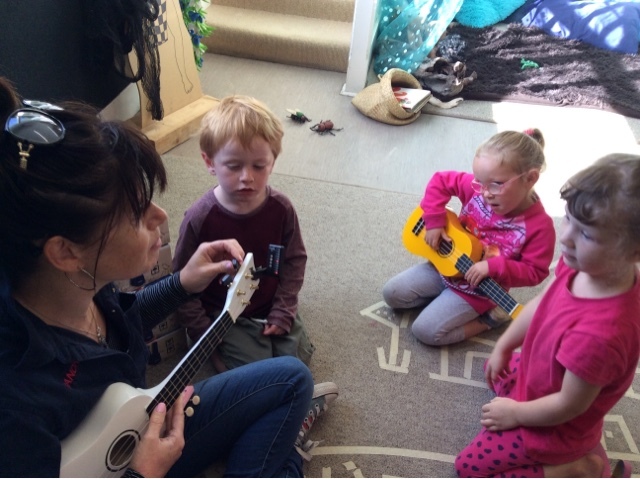 After kotahintaga some children enjoyed spending some time with Sandra as she tuned them. 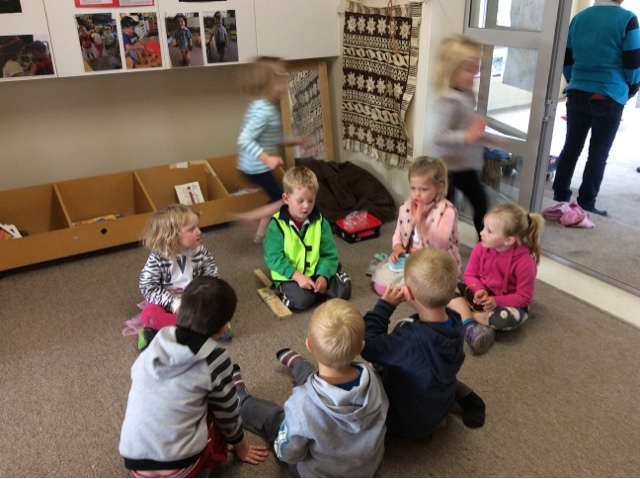 This was a great opportunity for children to also be supported with holding the ukeleles before they explored the different sounds they could make while using them. Digby even shared his musical talent as he sung a song about the colour purple while strumming the cords before others joined in by singing along with this new song!